It was a British citizen who would shape Israel’s way of warfare like no one else would in the beginning. In the 1930s, when the tension between Arabs and the Jewish-Zionist community emerged to a downright civil war in Palestine, which had been under British administration since World War I, the British officer and fierce Zionist Orde Wingate helped the Jews to establish a commando unit called Special Night Squads. Operating in small assault units, the SNS specialized in reconnaissance missions, raids and sabotage operations in Arab territories. According to Wingate’s maxim “offense is the best defense,” nightly attacks deep in enemy territory became the trademark of the SNS. Although the unit was active for only one year, many soldiers, who would later become key figures in the Israeli Defense Forces, started their military careers in the SNS – the most famous being Moshe Dayan. Subsequently, he would describe Wingate as a “military genius and a wonderful man.” Thus, Wingate’s unorthodox strategic legacy has remained a fundamental element of Israel’s military doctrine until today—a strong tendency to unconventional, offensive actions aiming at taking the enemy by surprise. In August 1953, Ariel Sharon established the notorious Unit 101 based on the doctrine of the SNS. Israel’s leadership entrusted the IDF’s first commando unit with risky assaults in the territories of the neighboring Arab states that were safe havens for the Palestinian terror and guerrilla groups. Although the operations of Unit 101 were widely considered as successful in decreasing the cross-border attacks on Israel, some operations resulted in significant civilian casualties. Consequently, the unit was integrated in Israel’s newly founded paratrooper unit in January 1954. Nevertheless, Unit 101 became the prototype of Israel’s special operation forces. It was the first unit that circumvented the regular chain of command and was directly subordinate to the general staff. Unit 101 introduced innovative attack and infiltration tactics and has been considered an inspiring example for Israeli commando-operations until today. In 1957, Sayeret Matkal was established, Israel’s equivalent to Delta Force or the British SAS. Originally, the unit was designed to gather intelligence deep behind enemy lines. However, since the 1970s, counter-terrorism and hostage rescue missions have been added to the unit’s tasks. In the beginning, Sayeret Matkal was a top-secret unit. Fighters were hand-picked, usually based on personal recommendations. Until today, Sayeret Matkal soldiers are neither allowed to reveal their identity in public nor do they wear insignia. Recruits undergo a two-year training focusing on close-quarters combat, navigation, camouflage, reconnaissance and survival in enemy territory. Sayeret Matkal veterans often acquire influential positions in the Israeli military sector or in politics. Ehud Barak, for instance, is Israel’s highest decorated soldier. He became chief of staff and prime minister from 1999 to 2001. Benjamin Netanyahu, Israel’s acting head of government, is also a Sayeret Matkal veteran. Some of their operations enjoy an almost legendary status in the history of commando missions. One of them is Operation Spring of Youth. After the deadly hostage-taking of Israeli athletes by Palestinian terrorists during the Olympic Games in Munich, Israel started to hunt down the responsible terrorists and instigators. On April 9, 1973, 14 Sayeret Matkal fighters under the command of Ehud Barak stepped right into the lion’s den –they landed undetected on the beach of Beirut with rubber boats, where the PLO had its headquarters back then. Mossad agents, who had arrived in advance to get acquainted to the city, picked them up with rented cars and drove them to an apartment building. Meanwhile, Shayetet 13 and paratrooper units attacked several targets in Beirut to cause confusion. In order to blend in, the Sayeret soldiers disguised themselves as couples. Ehud Barak dressed up in a tight black dress stuffing his bra with hand grenades. Around 1:30 A.M., the Sayeret teams blew up the apartment doors of their three targets and neutralized them. Only 30 minutes later, the Israeli commandos were dashing to the beach and back to their boats off the Lebanese shore. Another famous operation led Sayeret Matkal far away from their homeland. On June 27, 1976, Palestinian and German terrorists hijacked Air France Flight 139 from Tel Aviv to Paris. Eventually, they redirected the plane to Entebbe Airport where Uganda’s infamous dictator Idi Amin welcomed the terrorists. After the gentile occupants had been released, 105 Jewish hostages and the French crew of the plane stayed in the hand of the kidnappers. They demanded the release of imprisoned terrorists in Israel, Germany and other countries. After days of heated deliberations, the Israeli leadership decided to launch a daring rescue operation. Naturally, Sayeret Matkal was the spearhead of the operation. The unit was under the command of Yoni Netanyahu, the brother of Israel’s current prime minister. On the afternoon of July 3, four Israeli Hercules aircraft carrying 180 commandos, several vehicles and a flying command and medical emergency center started their 4,000 kilometers journey to Entebbe. Close to midnight, the first Israeli plane landed unnoticed by the Ugandan control tower under the cover of darkness and of a simultaneously landing British aircraft. The Sayeret fighters surprised the kidnappers, in the meantime Israeli paratroopers took control of the airport. The whole operation took less than an hour — then, the hostages were on their way back to Israel. Although the mission was a huge success, the death of three hostages that were killed in the crossfire, and of Yoni Netanyahu, who was fatally wounded, overshadowed the operation that was named “Yonatan” in remembrance of the fallen Sayeret Matkal commander. Shayetet 13 is a naval special forces unit that focuses on sea-borne infiltration, reconnaissance, sabotage, hostage rescue and attack operations. 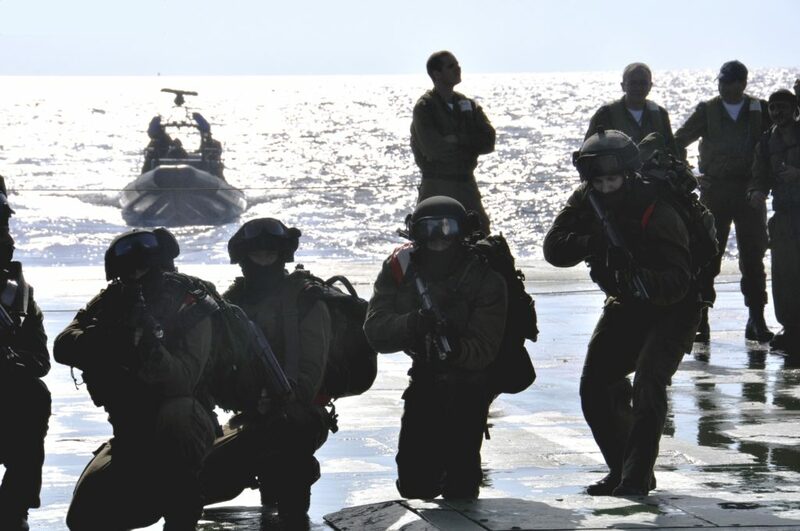 Israel’s equivalent to the United States’ Navy SEALs participated in most of Israel’s major military actions. In the Yom Kippur War in 1973, Shayetet 13 forces infiltrated Egyptian ports and sank five warships. Since the beginning of the 1980s, the naval commandos have operated mostly in Lebanon, fighting Hezbollah. Typical missions are the interception of ships carrying supplies for the terror organization, the destruction of enemy facilities and the planting of explosives. During the second intifada, Shayetet commandos intercepted several ships carrying weapons for the Palestinians, like the cargo ship Karine A on Jan. 3, 2002. Israel’s Mossad had become aware of the freighter and was certain that it carried a significant weapons shipment from Iran to the Palestinians. Suspiciously, the ship had been loaded with 80 containers off the Iranian shore in the middle of the night. Now it was on its way towards the Suez Canal. Prime Minister Ariel Sharon ordered Shayetet 13 to capture the ship in the Red Sea in order to prevent the Iranian arms from reaching the Palestinians. 500 kilometers away from its home port Eilat, Israel’s navy operated on the edge of its range. Literally in the last moment before the small flotilla and the supporting helicopters and planes had to turn around because of fuel shortage, a Shayetet officer spotted Karine A. From zodiacs and helicopters, Shayetet fighters boarded the ship and seized it in only seven minutes without even firing one shot. “Do you see anything?” asked Chief of Staff Shaul Mofaz, overseeing the operation from his flying command center. However, the soldiers found only sacks of rice and toys. Had it been the wrong call? Only the interrogation of the ship’s captain brought the desired information. Hidden in the bow, the commandos found what they were looking for – a huge arms shipment. In total 64 tons of weapons worth $15 million were hidden on board – including more than 300 surface-surface-missiles, almost 400 anti-tank rockets, grenades, mortars, rifles and 500 landmines. In the 1970s, Sayeret Matkal officer Muki Betser founded Shaldag, a commando unit of Israel’s air force, as an operative lesson from the Yom Kippur War. The air force had suffered significant losses because of Soviet missile batteries on Egyptian soil. An adequate reconnaissance and a timely neutralization of these emplacements would have saved the air arm a lot of trouble. The first litmus test for Shaldag came during the first Lebanon War in 1982. The air force commandos managed to destroy the Syrian air defense in Lebanon. In the following battle against the Syrian Air Force, the IAF won a breathtaking victory downing more than 80 hostile planes. In the mid-1990s, Shaldag became an airborne multi-purpose special forces unit, increasingly focusing on counterterrorism and hostage rescue missions. Since December 2015, the IDF commando brigade Oz has combined several other special forces units. Duvdevan specializes in undercover missions and is part of Israel’s Mista’arvim forces, i.e. soldiers operating undercover in the Palestinian territories. In meticulous training the Duvdevan fighters learn to speak Arabic in the Palestinian dialect, as well as local Arab and Islamic traditions and typical behavior. Moreover, the Oz brigade comprises the Egoz counterguerrilla unit, the Rimon desert warfare specialists and Maglan, the long-range reconnaissance unit. Naturally, the Israel’s special forces enjoy a high prestige in the IDF and have access to the most capable recruits. Whereas in the beginning, the commando units were kept so secret that the fighters were recruited on personal recommendations, today they are open to conscripts that have to excel in a multi-day selection procedure. In contrast to special forces in many other militaries, Israel’s commando soldiers are mostly conscripts. Since the 1970s, all of Israel’s special forces units have been increasingly involved in counterterrorism operations. 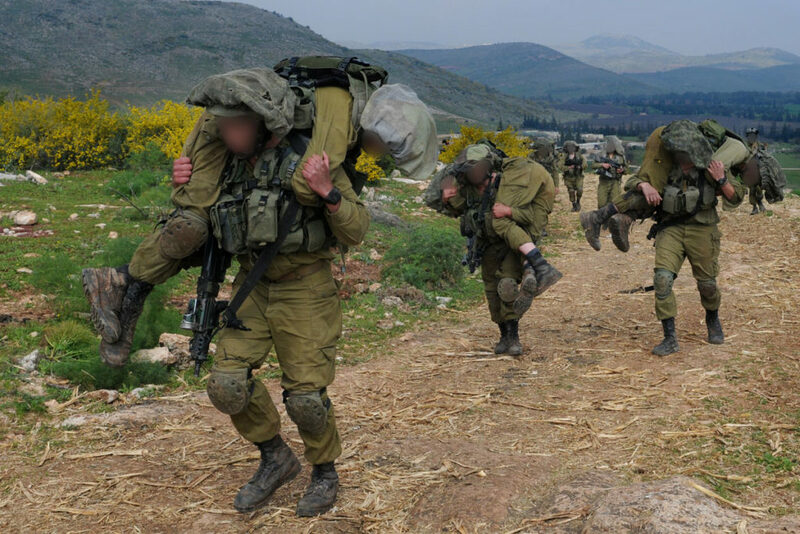 Although the operative demands have become more complex, Israel’s Special Forces remain faithful to the core principles of the SNS and Unit 101. Offensive, tactically elegant, bold and often unconventional operations.